Depression has been an ever-increasing problem over the past decade. It can zap you of energy, cause physical ailments and make life appear bleak. By using a combination of healthy living and balanced energy, depression can be overcome. 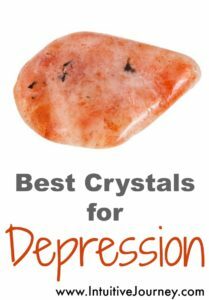 Add these crystals to ward off depression to your life as a tool to further your journey to happiness. Amethyst is a cleansing stone that transmutes negative energies to positive energy. It is a beautiful stone and is often worn around the neck, close to the heart chakra. Working on a deep level, it can eliminate an empty feeling and help to cure emotional pain. This crystal increases vitality and helps one feel more alive and vibrant. Sunstone also helps to combat phobias, like fear of the dark, enclosed places, or the presence of other negative triggers. The willingness and ability to bestow blessings upon others becomes more pronounced. This is a remarkable attribute for fighting depression. Smoky Citrine is not easily found, but a wonderful tool in fighting depression. It heightens both self-discipline and will-power. It transmits a joyful vibration to those around you and lessens depression and anger. This is a wonderful stone to have around when placed in social situations on a regular basis. Smoky Citrine is often used for chronic fatigue, and has a reputation of having the ability to increase both energy and drive. You can pick up a healing crystal for anxiety package here.